It’s no secret that the global state of honeybees has reached historic low. According to The Washington Post, American beekeepers lost 42.1% of their colonies between April 2014 and 2015-an 8% increase from the year prior. A group of universities and research laboratories also noted that the number of summer deaths exceeded winter deaths over the year. Needless to say, this poses a problem for the nation’s crops. “Honey bee pollination alone adds more than $15 billion in value to agricultural crops each year, and provides the backbone to ensuring our diets are plentiful with fruits, nuts, and vegetables,” said John P. Holdren, Director of the Office of Science and Technology Policy, in a statement. In May, the White House released the National Strategy to Promote the Health of Honey Bees and Other Pollinators. The new task force aims to: enhance 7 million acres of land for pollinators over the next 5 years; reduce overwintering honeybee colony loss to no more than 15% by 2025; and increase the Eastern population of monarch butterflies to 225 million by 2020. So, what’s causing the honeybee decline? Well, scientists cite pesticide exposure, lack of proper habitat, and varroa mite invasions as the three primary culprits. In efforts to onset the insecticide contamination, the government will form pesticide-free zones in specific bee-pollinating regions. The federal mandate will include all pesticides, including neonicotinoids, a controversial spray that affects the central nervous system of insects, resulting in paralysis and death. According to PRWatch, the European Union suspended use of three neonicotinoid pesticides after the European Food Safety Authority notes the pesticides’ dangers. While some appreciate the President’s efforts, other environmentalists prefer to see a moratorium on the neonicotinoids all together. Fortunately, gardeners of the West can take part in the honeybee rehabilitation through grassroots efforts. 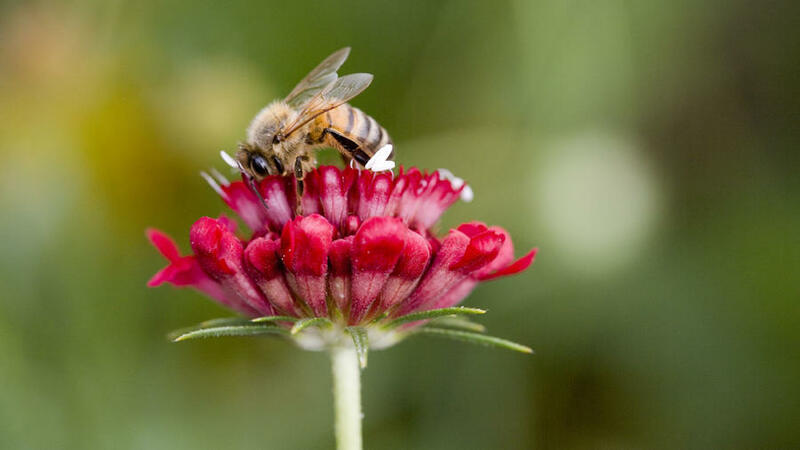 Plant these bee-friendly blooms for summer, purchase honey from your local beekeeper, or tend to your own colony with the help of our comprehensive Backyard Beekeeping Guide.